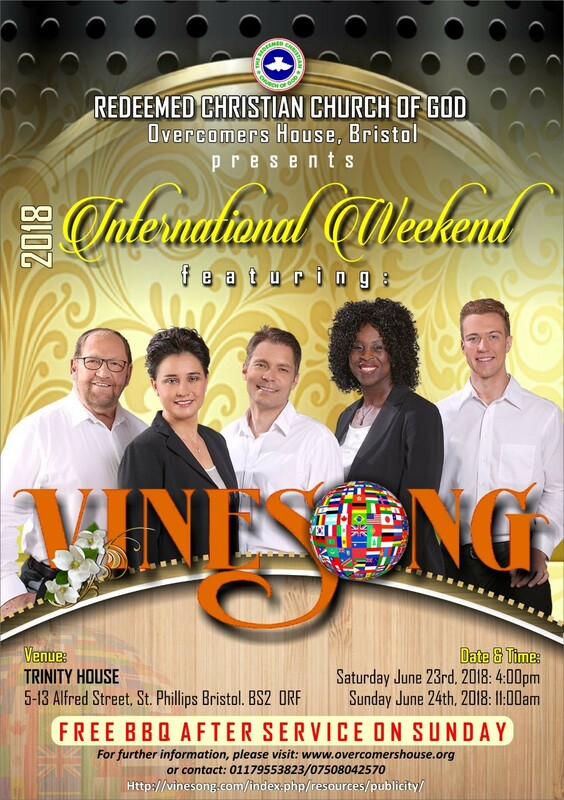 RCCG Overcomershouse Bristol presents international weekend where various ethnic groups come gathered and fellowship together. Vinesong will be ministering. There is also BBQ on Sunday for everyone. Join us to worship God and feast with us as well.